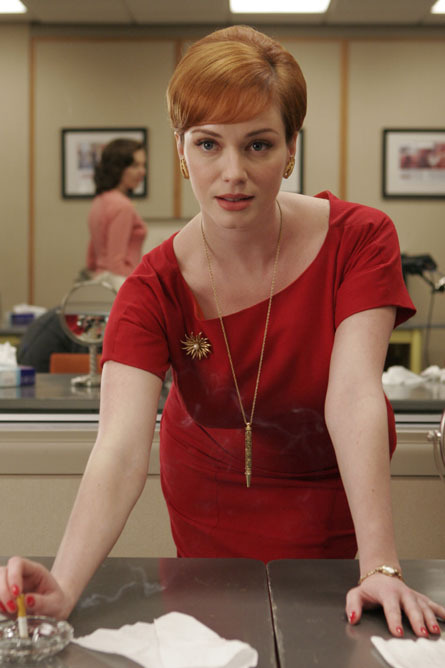 Chic and Charming: Charming Blogs: What Would Joan Holloway Do? Charming Blogs: What Would Joan Holloway Do? You’re not much. Enjoy the attention while it lasts. What Would Joan Holloway Do is a delightful little tumble blog that pulls quotes and pictures of our favorite woman from Mad Men together, along with imagined advice from the office vixen. Thanks for the mention Sophia! This blog is super-fun and totally up your alley... In fact, I was going to email it to you especially, but I'm glad you found it! I saw the preview of next week and I can tell I'm already going to love Joan: "I can tell what you're trying to do and all I can say is that I'm disappointed..." I love her.